Here’s what I like about Stephen King’s Hard Case Crime books: They’re Stephen King books, so they’re well-written and enjoyable, and they make Hard Case Crime a ton of money, which is good and helpful and positive and makes good stuff happen. Here’s what I don’t like about Stephen King’s Hard Case Crime books: Good as they are, they’re not hard-boiled crime, or the sort of thing Gold Medal would have published in the 50s. So the covers and package design are cool-but-wrong, like having the Peter Gunn theme as the overture for a Thornton Wilder play. I’m glad they exist, and I’m glad they help keep Hard Case Crime around. But I kinda want a new Richard Bachman book when I crack open a cover like that. BLAZE, that would have been a great Hard Case Crime book. 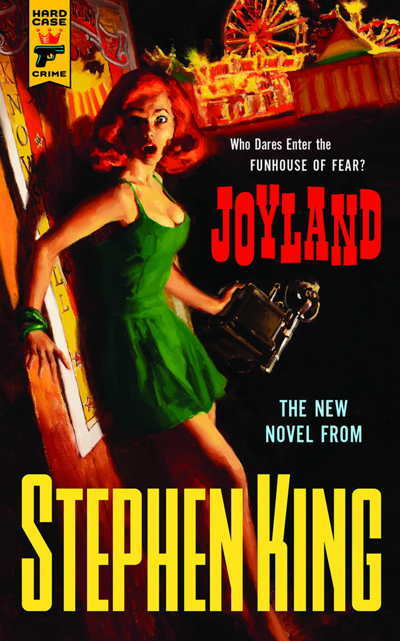 But with THE COLORADO KID and JOYLAND, I have to keep reminding myself that it’s not the kind of book it’s packaged as. It’s thoughtful and reflective, not lurid and driving.